Home / Archive by category "Entryways"
Get moving in 2017 with interactive inflatables from IDG! Walk, crawl, run and exercise with interactive inflatables in 2017. 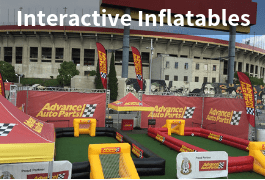 Inflatable Design Group is the perfect place to get started to produce some of the best branded inflatable games in the industry. Bring the fun to working out and staying healthy this year! 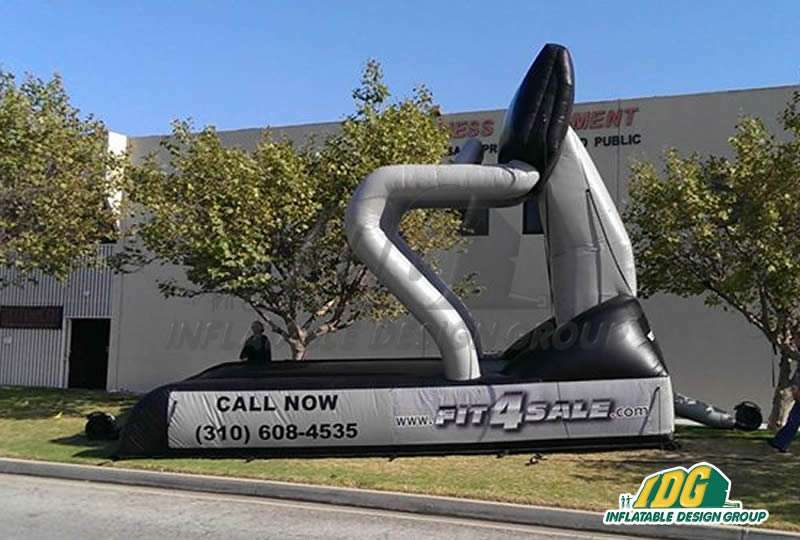 We offer the largest assortment of interactive inflatables on the market so, there is always an inflatable for you! 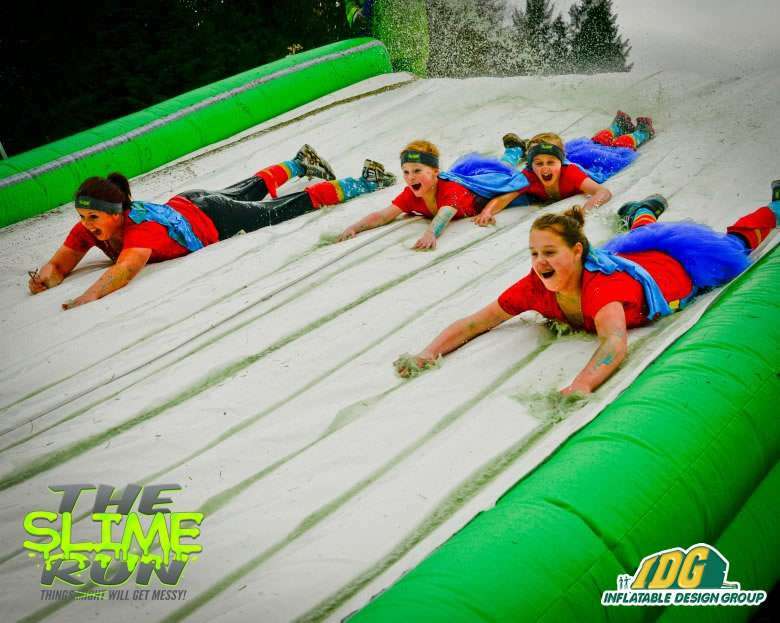 Exercising can be fun with an inflatable obstacle course as you challenge your opponent to a race through a giant 45’L inflatable that is filled with crawl thru tubes, climb, slide and various obstacles! This game will get your heart pumping and entertain the crowd. Make everyone want to be active will interactive inflatables! 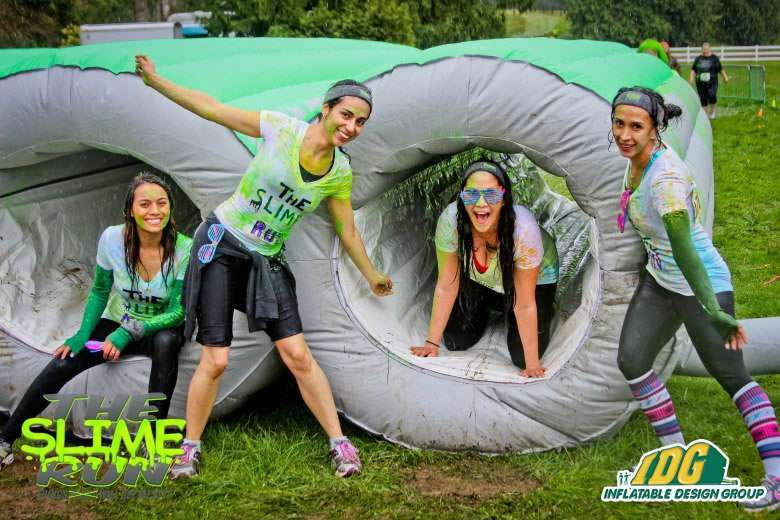 Check our this awesome interactive inflatable we created for The Slime Run. 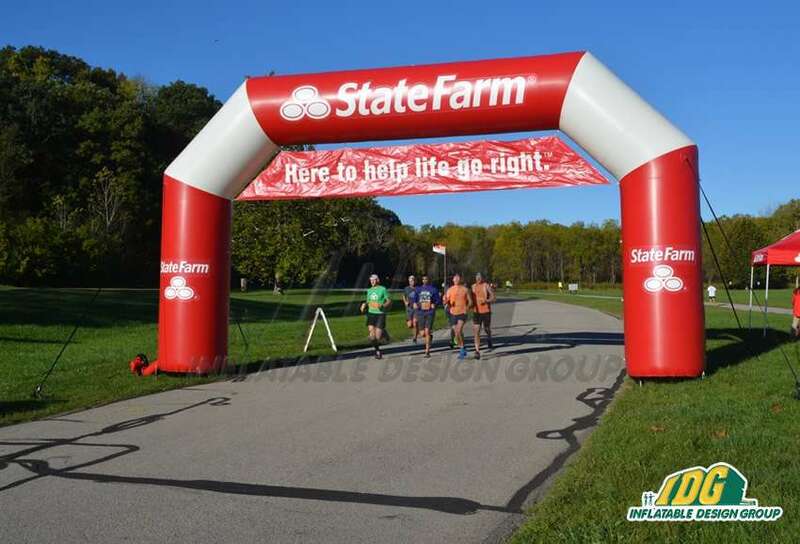 There is no doubt you will have the crowd smiling with inflatables at your run! 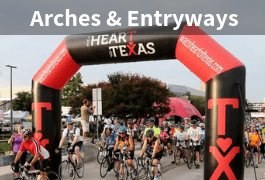 Run under a giant inflatable archway as you blast past the finish line at the 5K race. 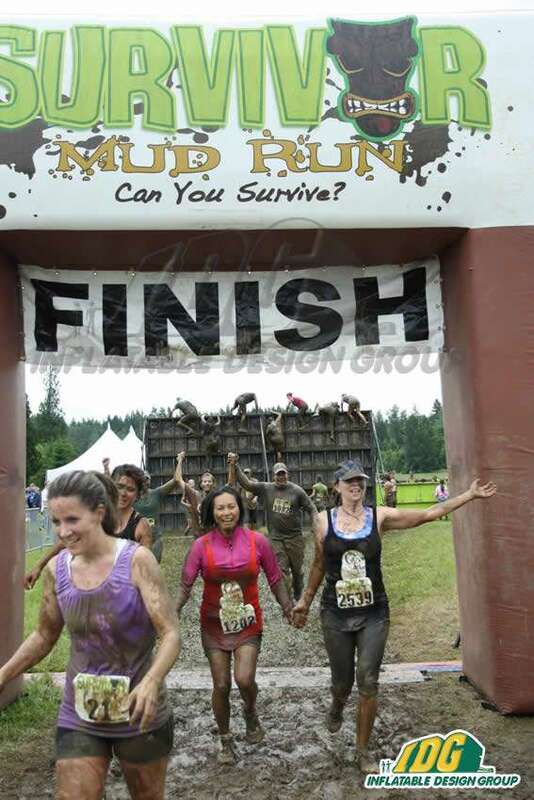 Inflatable Finish lines are a great way to dress up your event and an excellent finish line for your participants. Inflatable archways come in all shapes and sizes. Picture perfect moments are only one step away so, get your inflatable archway now! There is no better addition to your race day. 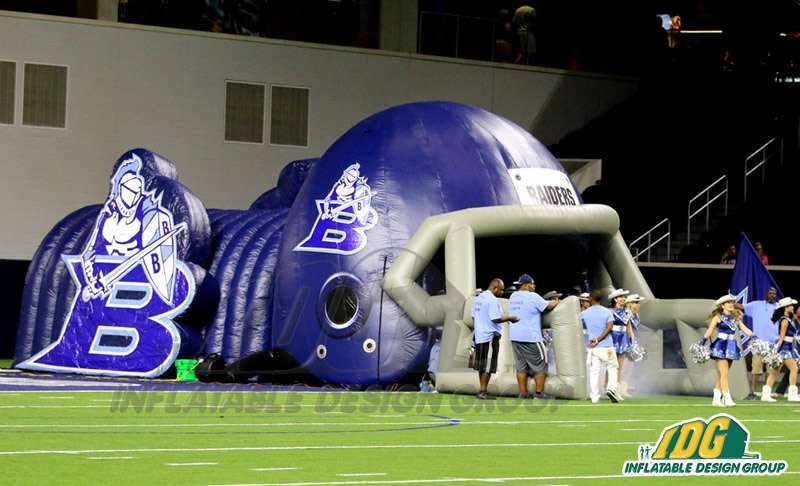 Make your next sporting event a winner with the help of Inflatable Design Group! 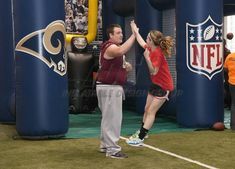 Check out all the inflatables games we have to offer from bungee runs to obstacle courses. Show off with interactive fun in 2017. 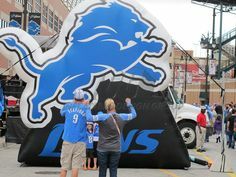 Interactive inflatables are the most unique way to make your event stand out this year. Our team is ready to help you create the inflatable of your dreams. 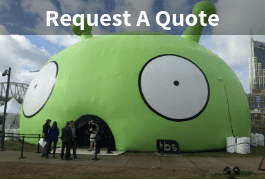 Contact us now to start your inflatable journey! 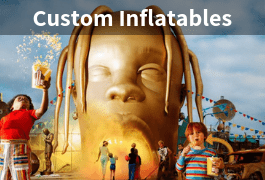 You won’t believe the places a custom inflatable can take you! It is that time of year with all the holiday hustle and bustle. However, some high school booster clubs are looking forward to the 2017 football season with fundraising inflatables. 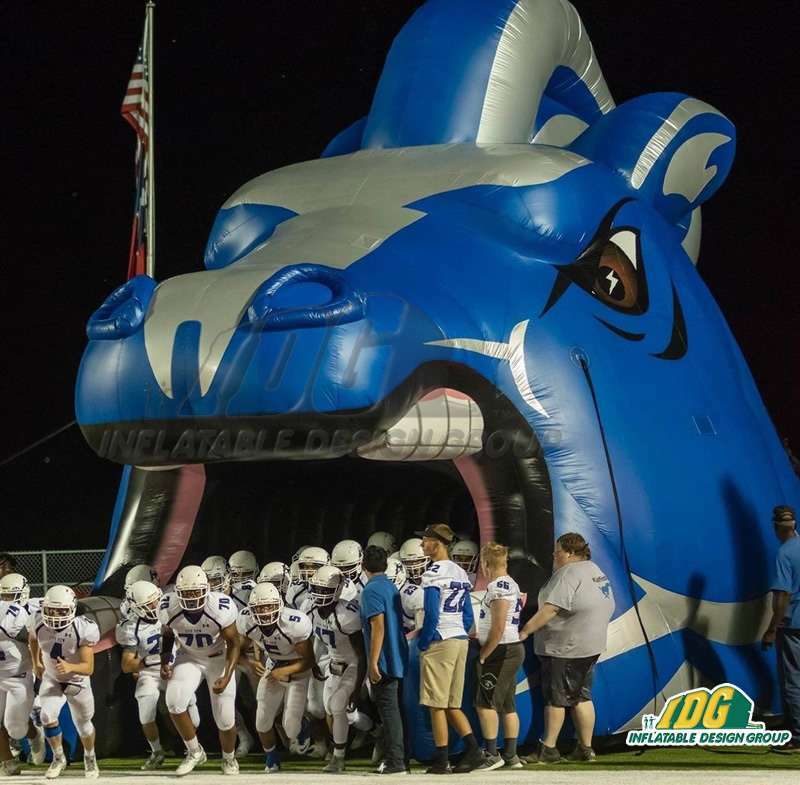 Inflatable Design Group has made some great looking custom inflatable entranceways and tunnels for the high school market and we are here to help kick start your new year with more exciting designs, competitive pricing and putting the booster club funds to good use. What will fit in my budget? How can I make this unique one of kind piece to show off my school and football program? 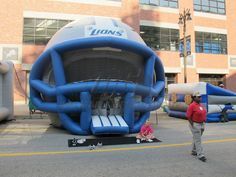 We will get you started and make your fundraising for an inflatable helmet, tunnel or custom entranceway an easy process. Let’s get started with the biggest question you might be asking yourself…the budget! 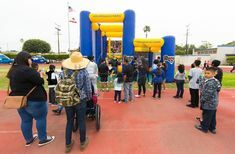 Inflatable Design Group has a wide range of products to fit into almost any budget from smaller tunnel to large custom inflatable entryway and everything in between. A big help for the booster clubs is finding sponsors in the community. 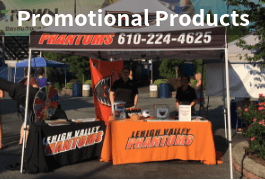 Inflatable Design Group manufactures almost every inflatable with the capability to add sponsor banners to your fundraising inflatables thus highlighting the local or corporate sponsor. Everyone likes to see their name proudly displayed on the inflatable. 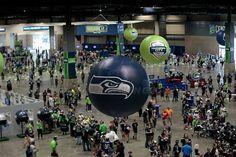 Therefore, you can sell varied sponsor placements on the inflatable and make your money back in no time! 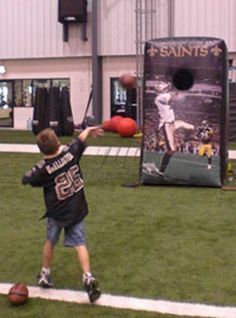 Don’t wait to inflate with fundraising inflatables! Next, let’s address the question of how and when to get started. The answer is now…this is the fun part! Here at Inflatable Design Group we like to be visual and show you what we can do. So, gather your school or team mascot, colors and logos and send them off to us. 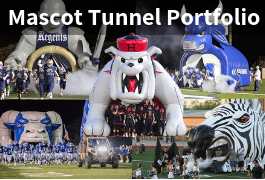 We will help design the inflatable tunnel, custom entranceway or mascot tunnel that will work best for you! Watch as your ideas come to life! 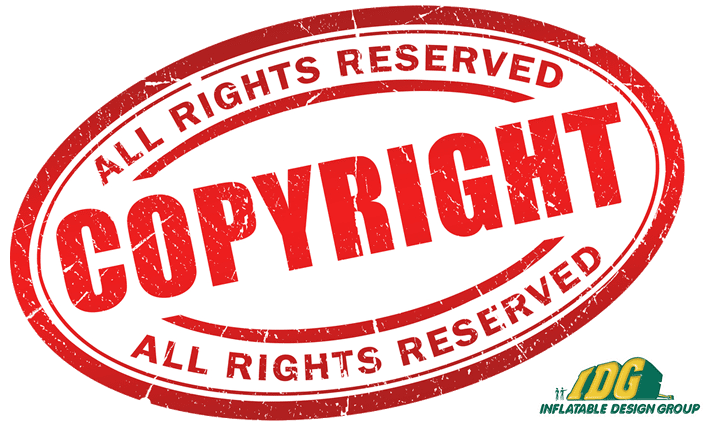 As this process comes to light you will see that your school inflatable is unique and one of a kind. 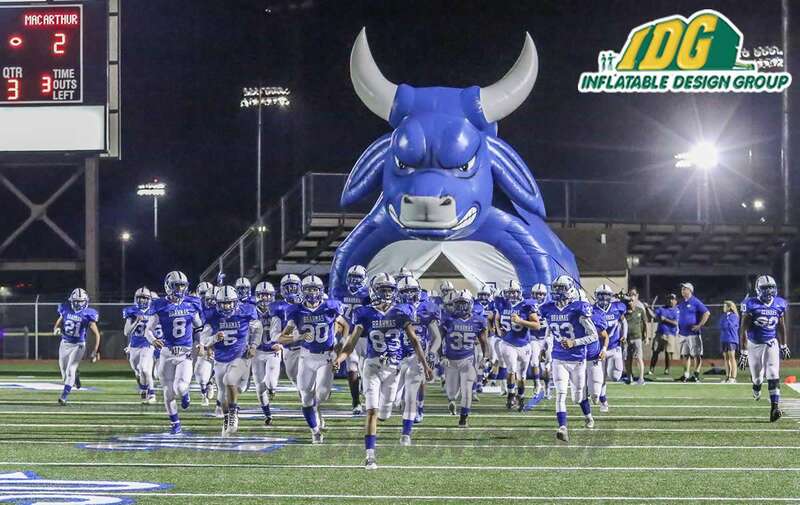 Proudly display your school’s inflatable as the team runs out onto the field! 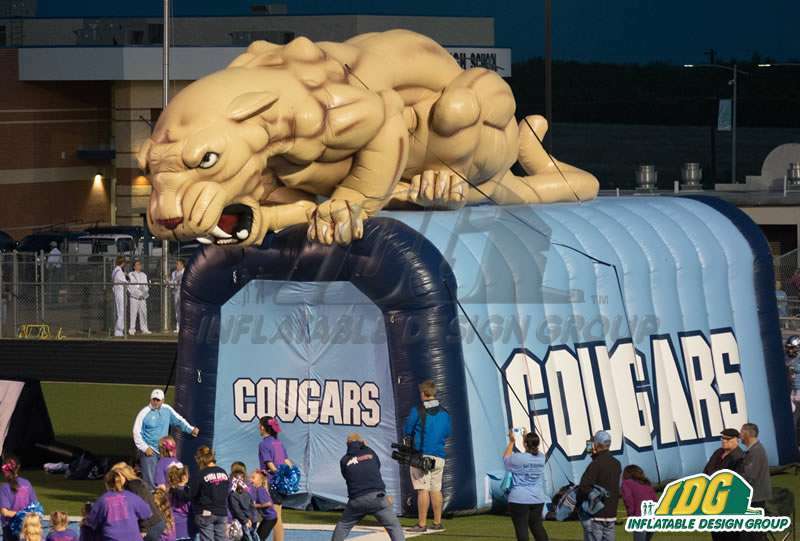 Check out some of the amazing designs we have done for schools all across the U.S.
Start your inflatable journey with Inflatable Design Group. Beat your opponents before they even step out onto the field! Look forward to HIGH SCHOOL football for the 2017 year with custom inflatables! Did you spot our Monster Jam arches this weekend? 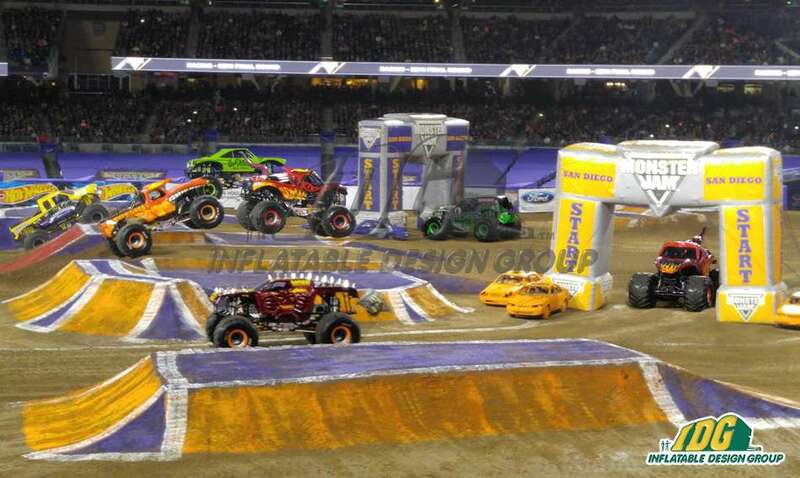 Another exciting display of AWESOME Monster Trucks over the weekend in San Diego at Petco Park! A great display of amazing monster trucks tearing up the place with lots of excitement and enthusiasm as the fans were thrilled to see all the tricks performed! 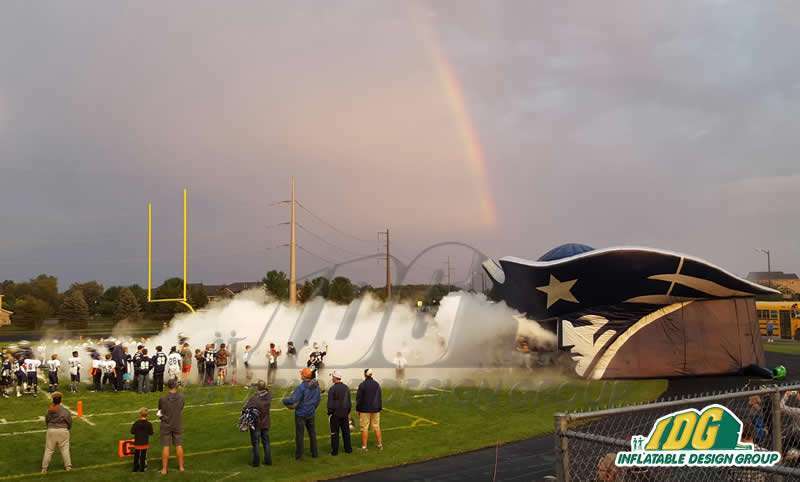 The inflatable archways were HIT…thankfully not ‘hit’ by the trucks but a great display on the field. 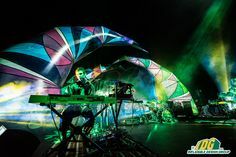 What a fun and exciting place to see the Inflatable Archways in action! 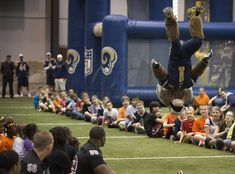 Make sure you event is just as much fun by having custom inflatables. Our team is ready to make your inflatable creations come to life! Call now to start your inflatable journey!